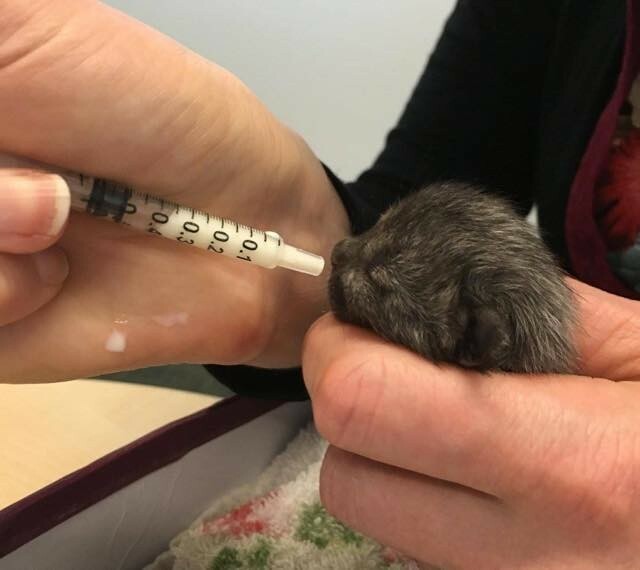 Two months ago, a tiny one day old kitten was found crawling down the footpath all by himself and soaking wet after a downpour. 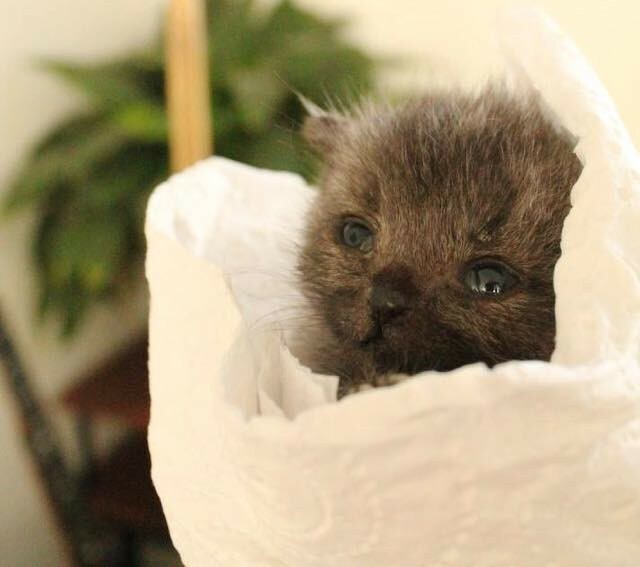 A kind woman picked up the kitten and gave him a home and became the mom he never had. 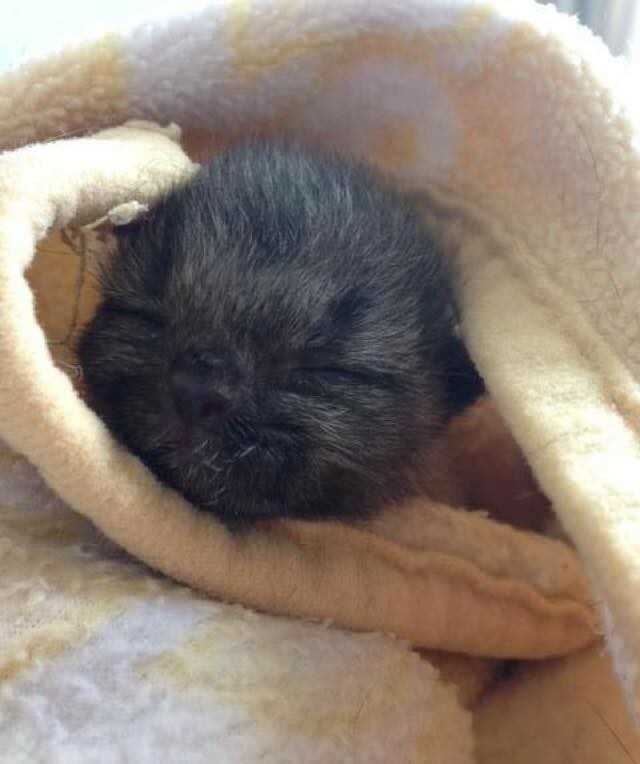 She named the little kitten Bruce, after the orphaned Bruce Wayne aka Batman. Kathryn Van Beek was walking home that day after the pouring rain in Kingsland, Auckland when she spotted something barely squirming on the footpath. At first she thought it was a mouse, but when she looked closer, she saw a tiny kitten still with his umbilical cord attached. 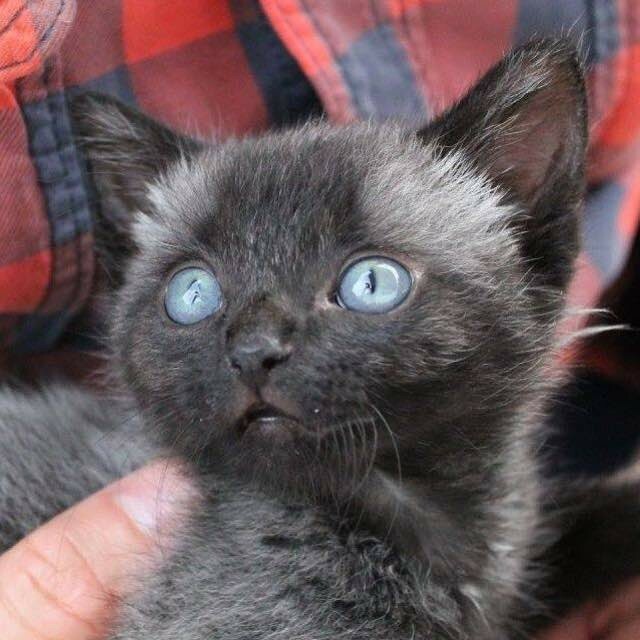 “He wasn’t meowing when I found him but he was crawling slowly along on his tummy as though he was trying to find his mother. 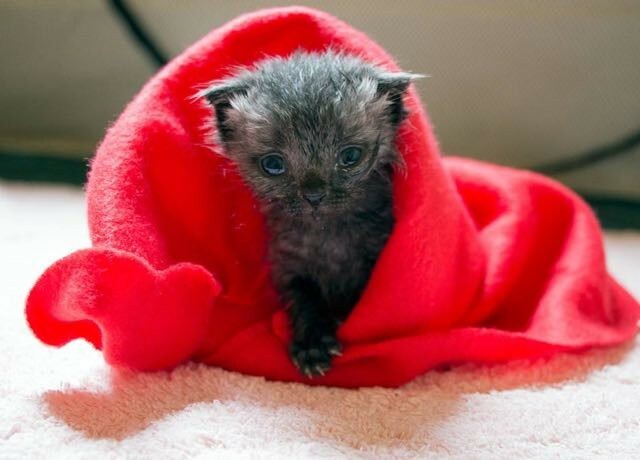 Poor little mite,” Kathryn told Love Meow. 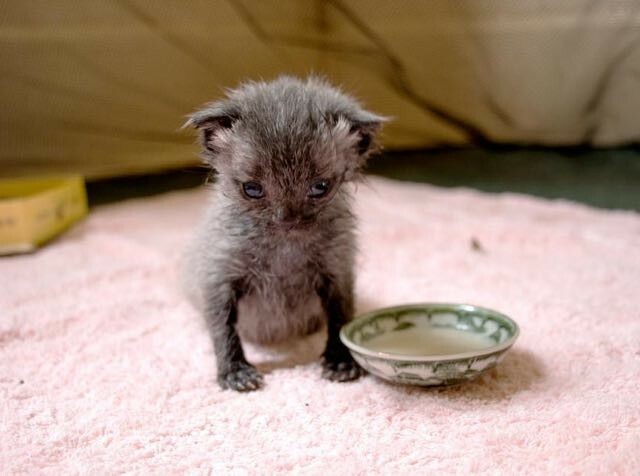 She took him home and gave the little kitten food that he desperately needed. On day three, Bruce started purring :). Feeding and caring Bruce became a full time job for Kathryn. She had to get up during the night to feed the baby. Setting the alarm wasn’t necessary because they soon realized that despite his tiny size, Bruce was louder than any alarm clock when he was hungry. 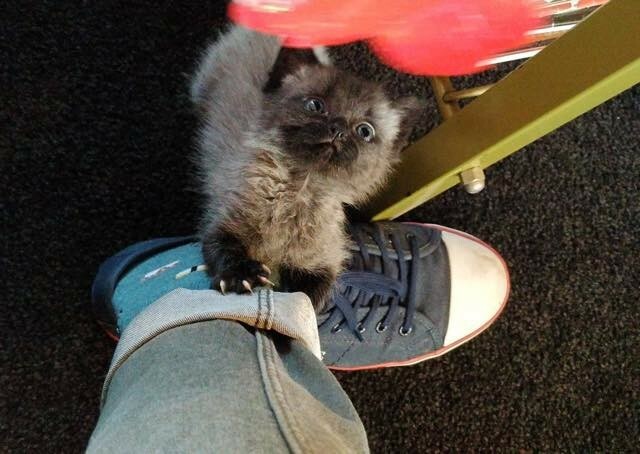 Kathryn took the kitten with her to work for the first few days of his life. 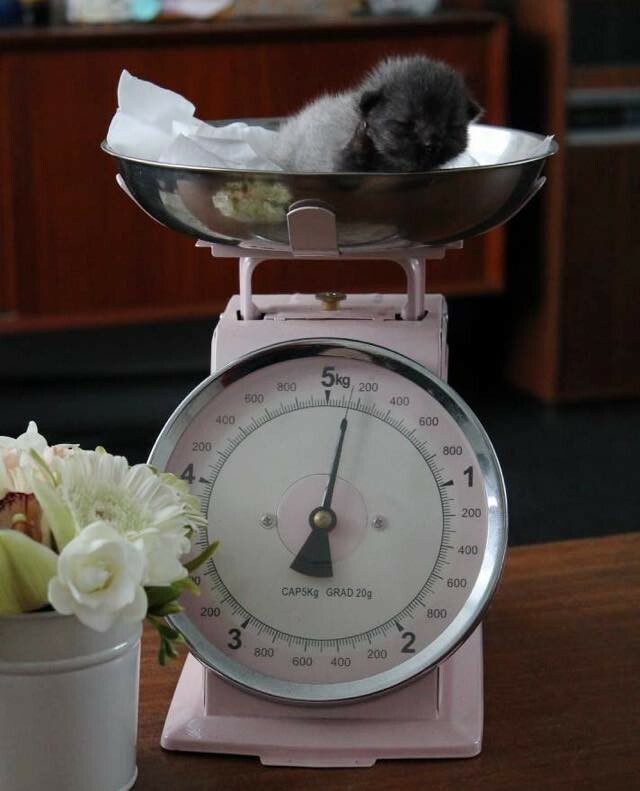 At 12 days, Bruce weighed over 100 grams! 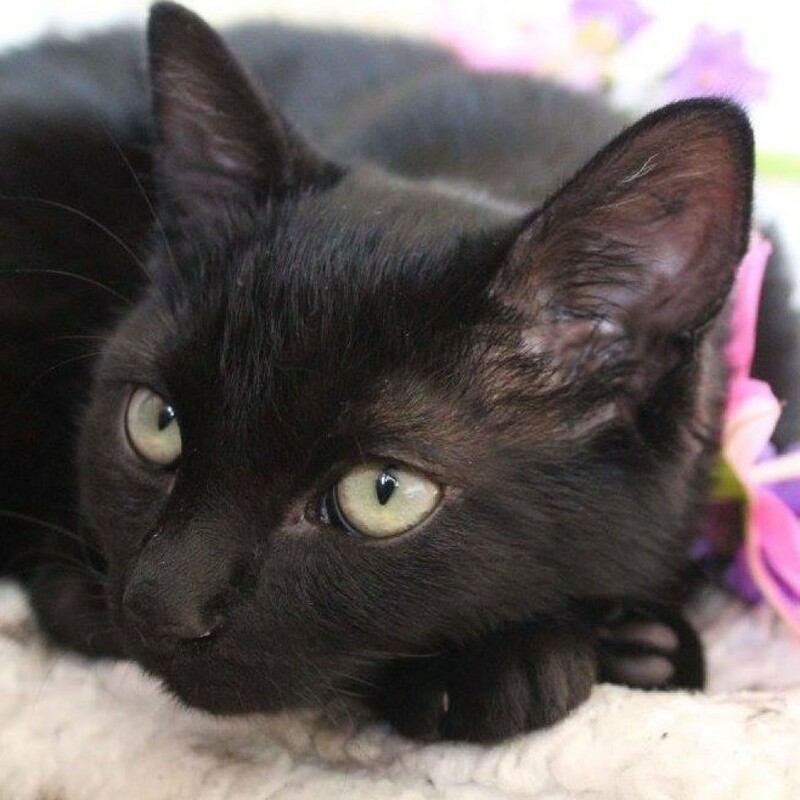 Kathryn and her family never planned to have a second cat, but soon after they started fostering Bruce, they knew he was there to stay forever. They taught him to eat on his own. He needed some help with grooming, but little Bruce was getting stronger and bigger every day. His purrsonality is larger than life! 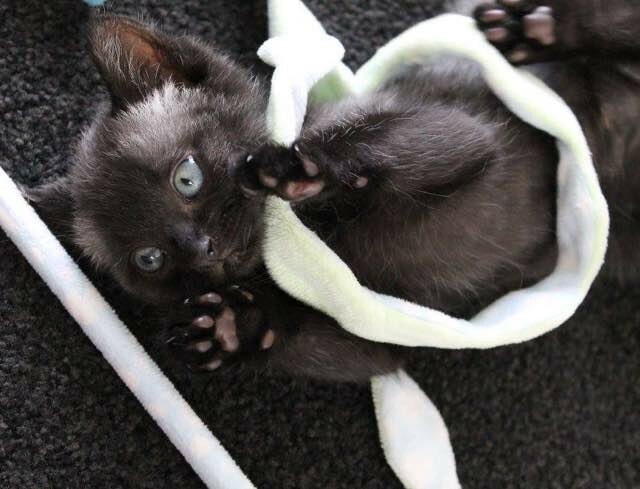 “He is 9 weeks old now and doing really well,” Kathryn told Love Meow. Bruce just had his first Christmas with his mom and dad and his big sister Jager the cat. At 900 grams (almost 2 lbs)! 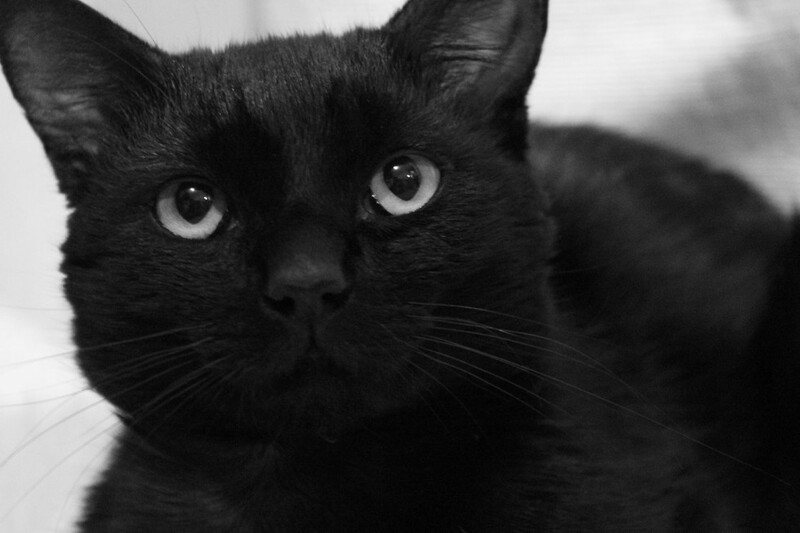 Watch little Bruce in action! 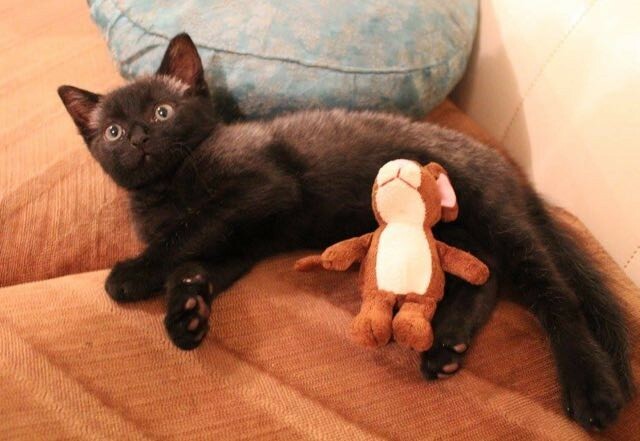 Update1: Little Bruce and his cuddle buddy! Update2: Bruce is all grown up now! What a second chance can do! Share this adorable story!